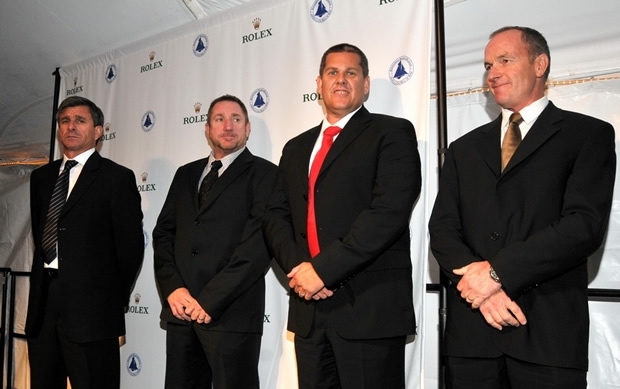 Under a star-lit sky, hundreds of sailing’s luminaries gathered on Saturday for the 17th America’s Cup Hall of Fame Induction Ceremony, presented by Rolex Watch USA. 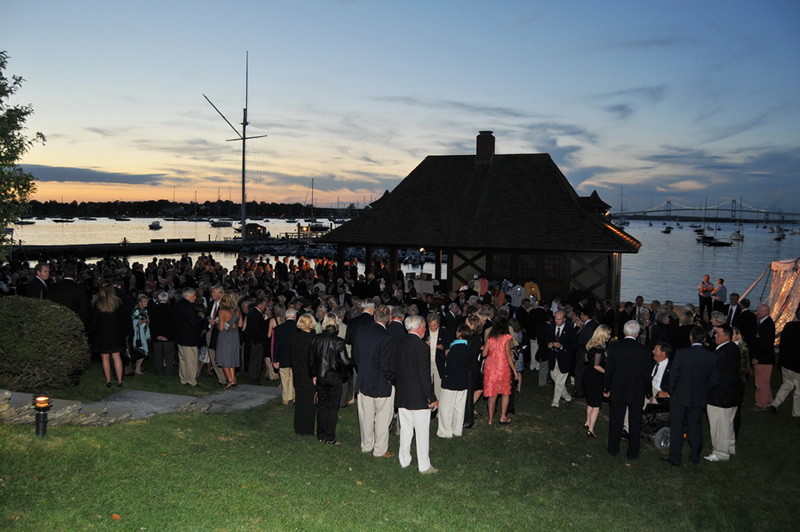 Harbour Court, New York Yacht Club’s on-the-water clubhouse in Newport, R.I., set the scene as over 650 guests, including many legendary America’s Cup sailors, witnessed the induction of six new members – Simon Daubney, Warwick Fleury, Murray Jones, Dean Phipps, Mike Drummond and Halsey Herreshoff – into the Hall of Fame. Master of Ceremonies Gary Jobson brought Cup legends Ted Turner, Dennis Conner, Russell Coutts and Malin Burnham to the stage to introduce the inductees, share anecdotes, and discuss the importance of the America’s Cup Hall of Fame. New Zealand broadcaster PJ Montgomery, renowned for his America’s Cup coverage, recounted the careers of Daubney, Fleury, Jones and Phipps. The ceremonies also included film highlights of the careers of the inductees, and after the guests raised glasses of Moët to toast them, each was presented with a custom-made barometer by Maximum Instruments.